I have lost count of how many Trikonasanas I have practiced, taught, and been taught in my life – but I’m sure it’s a lot! 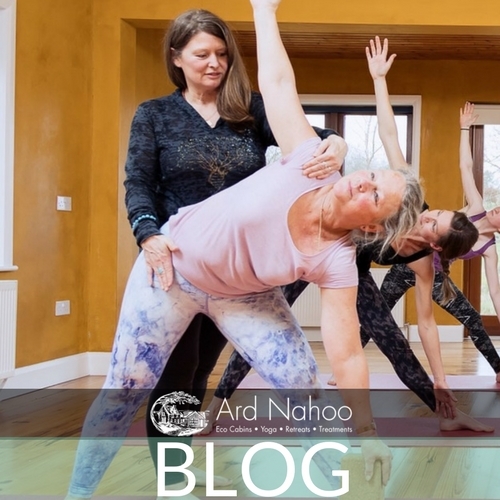 Students of Ard Nahoo Yoga School often ask me how I manage teaching the same poses over and over, without it getting boring. Trikonasana, like so many of the fundamental standing poses, has many bio-mechanical elements to consider and layer upon layer of depth to negotiate, in both the physical body and the inner body. There is so much going on that trying to teach it in depth, in an hour-long class, would be futile. To get to grips with the many considerations of teaching the fundamental standing poses, I always suggest, as with many things, to start from the very beginning. Teach the basic shape of the pose, build up strength and refine alignment as the weeks go on. In other words, sequence not only your classes, sequence your courses. Here are 5 ways to help you develop and layer your teaching of the fundamental standing poses week after week. Decide what your focus will be and teach it throughout the class. This focus will dictate what poses you choose. For example, if you are teaching absolute beginners then your focus will most likely be on getting them into the general form (shape) of the pose with as much alignment as they can achieve. Be mindful to give instructions for the basic placing of the feet in the standing poses repeatedly until the awareness and practice is developed. It is very rewarding to see your beginner students going towards alignment with little to no cues! If, by week three the same group still don’t have the basic foot position and shape of the pose, keep persevering. Don’t stop until the basic shape is achievable by all. Try out alternate ways of giving the same instruction. Also, regularly demonstrate the pose and at times it can help getting students to pair up, learn from their partner and to give feedback. Tell your students why you are giving a specific instruction – ensure to explain why it matters. I’ll give an example using the foot placement analogy. For example, in Trikonasana you could explain that if the feet are not correctly placed that the hips are then out of alignment. Therefore, the spine and shoulder girdle cannot perform as needed, etc. Generally, everyone likes to know how their bodies work and you are in a great position to educate them on what works and what doesn’t. Building strength is important in helping a student to progress in their yoga practice, particularly leg strength – don’t be afraid to make your students work. Use repetitive actions and specifically, try to work on their leg strength. An example would be inner leg strength, building up the abductors. Work with blocks in between the thighs and drawing to the mid line etc. Make use of your props! Yoga is challenging and at times is a serious subject, but that does not mean that it can’t be fun. Use your imagination; create themes, crack jokes, let your personality shine through while guiding your students through the class. Be yourself and most importantly, enjoy what you do and others will follow in your well placed foot-steps. I believe that in keeping with these basic principles, your students will learn in a way that will deepen their understanding, keep them interested and help them to see and feel their progress. This will act as a major confidence boost for students as they return each week and build on their experience. If you want to boost your own skills or are yearning for an inspiring learning experience I have many opportunities coming up where you can do just that. For a more in depth knowledge of yoga bio-mechanics, anatomy, philosophy, creating themes, sequencing and much more, get in touch for further information on our 300hr Advanced Yoga Teaching Training. As well as being able to attend the full training with us, the modules are available separately. 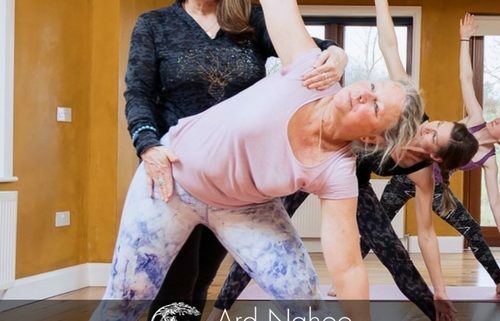 Why not spend a few days with me at Ard Nahoo, brushing up on the Fundamentals of Yoga Teaching in April? Keep practicing and let me know if you try some of these tips in your practice. I’d love to hear how you get on.